Editor’s note: This news appeared on PRNewswire. Omeq Medical signed an investment and commercialization agreement for its smart epidural device with Pharos Medical, a Shanghai-based manufacturer and distributor of medical devices. 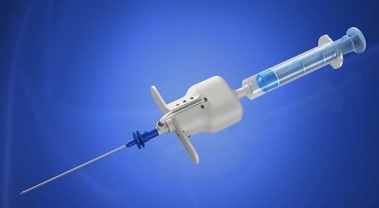 Omeq has developed a single-use, smart epidural device for safe, accurate epidural injections to thwart inaccurate needle placement, estimated at up to 30% of initial injections. Using a standard epidural needle, the device accurately detects needle penetration into the epidural space to prevent multiple insertions, thereby saving physician time, improving analgesia/anesthesia success rate, and reducing needle placement complications. The $3 million agreement between the companies includes commercialization of Omeq’s device in the Chinese market. Pharos will establish a production line for Omeq’s product in China and will support Omeq’s efforts in the rest of the world. Leveraging the collaboration with Pharos, Omeq expects to complete CFDA clearance and to be in production by mid-2020. Omeq’s goal with its smart device is to transform epidural procedures, which have not seen innovation in a century. The company has completed a proof of concept preclinical study. The agreement with Pharos paves the way to providing anesthesiologists with a smart device that confirms needle penetration into the right spot and prevents overshooting into the spine. We are delighted to close this deal with Omeq and become a shareholder. We are confident that our agreement will accelerate Omeq’s penetration of the Chinese market and the rest of the world, providing patients the benefits of this device as soon as possible. We are committed to introducing more such innovative medical devices into China in the future.